The relaxed BOSS Green tracksuit bottoms in cotton have a sporty fit. The perforated and textured trim ensures a dynamic, individual look. 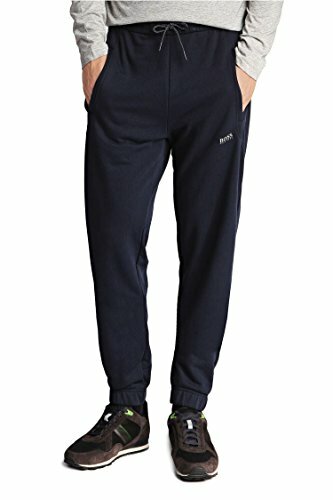 These tracksuit bottoms are exceptionally comfortable, thanks to the soft texture and the elastic drawstring waistband.